Lakshmi Tool Tech is one of the Forerunners in providing the best quality and best delivery in tooling for a wide range of Mould bases for plastics and Die casting industry.after Making a humble beginning in 2003 , with a short span Lakshmi tool tech has become a trusted name in the tooling industry. High skilled Management with experience of over 13 years in the field of Tooling. Lakshmi Tool Tech is one of the Forerunners in providing the best quality and best delivery in tooling for a wide range of Mould bases for plastics and Die casting industry.after Making a humble beginning in 2003 , with a short span Lakshmi tool tech has become a trusted name in the tooling industry. High skilled Management with experience of over 13 years in the field of Tooling. Well qualified & professional driven workforce of more than 35 peoples working for different area under single nucleus. In house machining facility equipped with latest systems and technology that made the manufacturing facilities capable of delivering the highest standards in terms of quality, time&satisfaction. Top management has contributed distinctive enterprising and technical endeavor as a result we have earned an eminent reputation by providing best quality and cost efficiency services to our customers .Our customers have come to expect the finest from us. 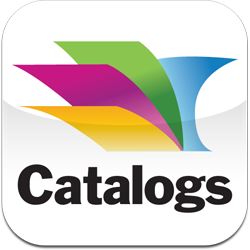 The company has a team of skilled technical professional that keeps strict observations on the entire manufacturing process.Every member of this team is an expert there respective area of operation. In the fast growing competitive market of tooling,LTT stands out as a growth oriented and towering Company. 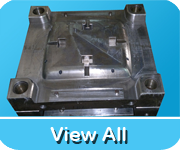 We have set ourselves as the leading provider ofquality mold bases and tooling for the plastic and die casing Industry. we are always ready to welcome challenges and opportunities of serving the changing demands of our valuable clients. each and every team member of LTT realizes the responsibility and this is the reason,today the LTT endeavors to be one of the most successful and fastest growing companies manufacturing best quality mould bases . The success of LTT began as the dream of one man extended to be transformed into the dream of many.We strive to accomplish our dreams and goals to bring greater brilliance in the future.